Combining more than 50 years of experience in the real estate market, Broker/Owner, Mark Eble of Water Pointe Realty Group and Broker Associate, Jaye Parker, offer valuable insight into the luxury waterfront real estate market and all that the areas surrounding Jupiter and Tequesta have to offer. Jaye Parker – Jaye, a Broker Associate at Water Pointe Realty Group, has been specializing in north Palm Beach County luxury waterfront properties for over 25 years and is one of the most successful waterfront Realtors® in the area. Jaye’s impeccable reputation for outstanding service and results has distinguished him among his peers and continues to make him sought after by both sellers and buyers of waterfront properties. Originally from Nashville, Tennessee, Jaye’s southern charm and down-home style are appreciated by his clients who consistently praise his in-depth knowledge of the market, his trustworthiness, and his tact and diplomacy in negotiations. His deep understanding of his clients’ needs, keen attention to detail and thorough approach continue to fuel his success as waterfront’s consummate real estate professional. 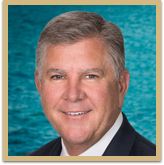 Mark Eble – Mark, Broker/Owner of Water Pointe Realty Group, has been fortunate to spend the past 30+ years in the beautiful sunshine state of Florida. Shortly after graduating from Florida State University, he started his real estate career. 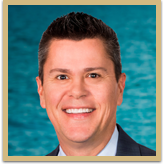 At 24, Mark won “Realtor® of the Year” by the Jupiter/Tequesta Hobe Sound Board of Realtors® and was on his way to establishing his own real estate company by the age of 27. With a strong background in business and marketing, many suggest that in addition to his thorough knowledge of the real estate industry, Mark’s strengths are his work ethic, sincere approach to assisting his clients’ real estate needs, and sense of humor. This combination has made Mark one of Jupiter/Tequesta’s most successful real estate brokers to date. Mark and Jaye’s JupiterWaterfront.com marketing efforts include innovative electronic media, customized visual tours, enhanced listings on Realtor.com, property specific and custom direct mail postcards, targeted magazine and newspaper advertisements in publications such as the Palm Beach Post as well as the Jupiter and Palm Beach magazines and Luxury Florida Homes. Both community activists and industry leaders, trust Mark and Jaye to handle every detail of your real estate transaction. Your business will always be welcomed!